Dallas – Consistently ranking in the top three markets. New capacity either under construction or delivered by DLR, Equinix, Aligned, RagingWire, Skybox, Ascent, Stream, and T5. Northern Virginia – Continues to have record breaking quarters; New capacity coming to market and large leases being executed. Phoenix – Growing interest for users wanting a West Coast market without paying the West Coast price. Northern California - With available land and capacity at a minimum, new expansions are valuable. Vantage, Infomart, and Equinix are bringing capacity to the market. Denver – Secondary market has gained interest over the past few quarters, offering competitive costs in a low hazard risk environment. Atlanta – Density of Fortune 500 companies and heavy investment from providers like QTS and T5 Datacenters have created a heavily developed data center environment. 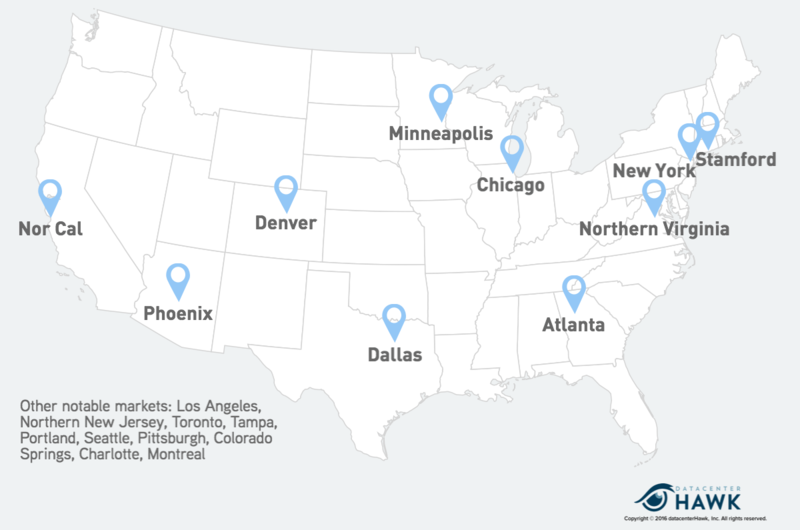 Minneapolis – Another consistently growing secondary market with a high density of Fortune 500 companies, offering similar benefits to Denver. New York – East Coast business hub home to a number of large data centers and internet exchanges, as well as access to a number of transatlantic cables. Stamford – Surprising secondary market. Possible interest may be driven by proximity to New York. Little data center presence in the market, other than CyrusOne. Additional Notes – Continued growth in interest for secondary markets, especially Denver and Minneapolis, who have consistently ranked in or close to the top 10 most searched markets over the last several quarters. Interest also increasing in Canadian markets, with both Toronto and Montreal listed in the top 20. 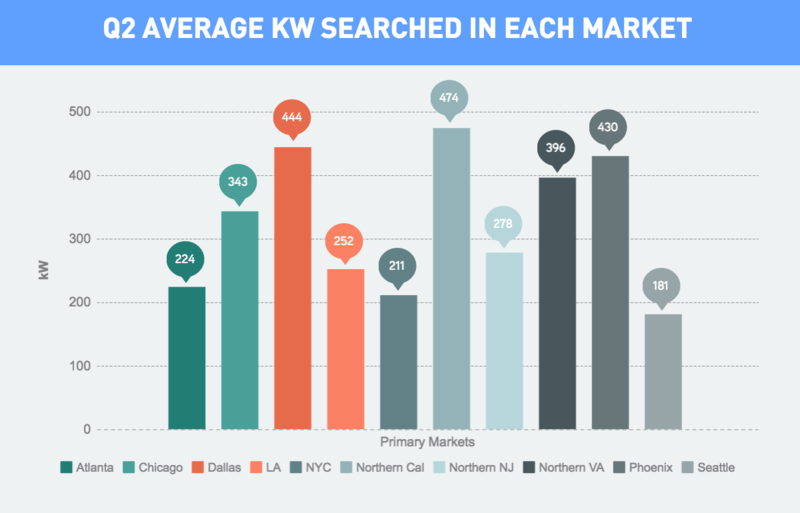 While there is no dominant market from a size searched perspective, the more active markets (Chicago, Dallas, Northern Virginia, Phoenix, and Northern California) accounted for the larger searches. This trend we’ve seen on our site matches much of what has happened in the last quarter, with larger leases occurring in these markets. Larger transactions might be less common in the remaining primary markets, but providers in the area can find success pursuing smaller sized requirements. 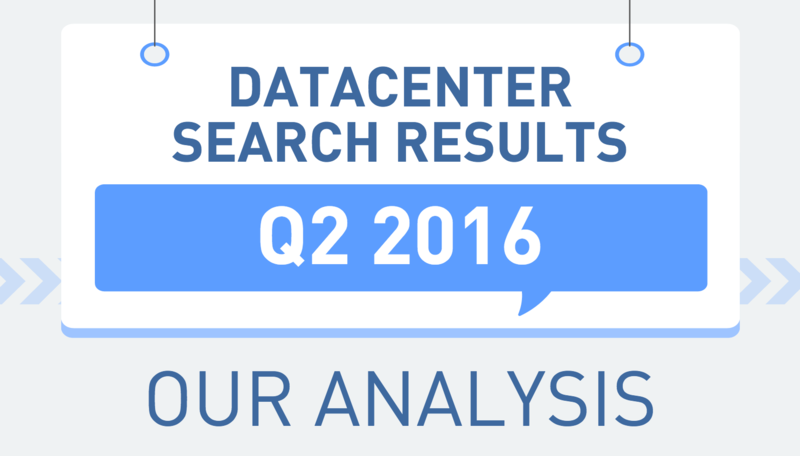 Colocation continues to remain the primary data center solution searched on datacenterHawk, representing 76% of the total searches performed on our platform. Compared to last quarter, however, a number of users searched for land sites for new data center builds, indicative of the need to expand, as many markets become saturated and lose vacancy. 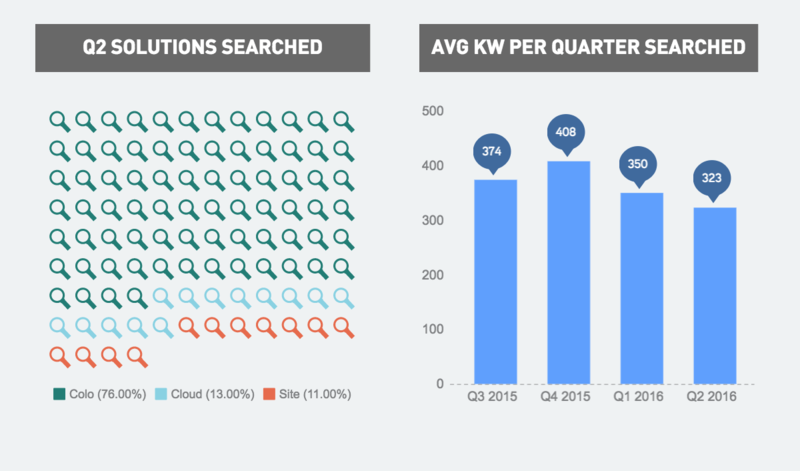 The average data kW searched has consistently decreased over the last two quarters. We have seen a widening gap in the searches performed and leases that have been executed in the recent months, with increasing number of small and large deals, with little in the middle. We anticipate the trend will continue as cloud providers lease large amounts of wholesale capacity and the growth of hybrid cloud solutions.